Cautionary tales are structured stories that describe protagonists who are faced with critical decisions and often take wrong turns and suffer for it, sometimes irretrievably; these tales warn people of dangers. In cybersecurity communications, cautionary tales are an integral part of the strategic messaging. This chapter explores the uses of multimodal cautionary tales in strategic cybersecurity communications, in a convenience sampling of the following: mass-scale search terms, academic and mass media text sets, social imagery, related tags networks, and social video. This work identifies their strengths and weaknesses in suggesting methods for promoting personal cybersecurity safety. 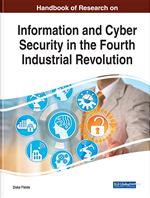 Some suggestions for higher efficacy in cybersecurity cautionary tales are suggested, in light of the advent of the Fourth Industrial Revolution. A basic definition of cyber reads: “relating to or characteristic of the culture of computers, information technology, and virtual reality” in Google’s built-in dictionary to Google Search. For common users of cyber tools, “cyber” may evoke social spaces, distal connectivity, information-sharing, convenience for everyday life activities, entertainment, and even some bit of magic. While users may be aware of risks in cyberspace, these perils may be relegated to ephemera, the great unreal. Cybersecurity is the body of technologies, processes and practices designed to protect networks, computers, programs and data from attack, damage or unauthorized access” and includes “application security, information security, network security, disaster recovery / business continuity planning, operational security (and) end-user education (“cybersecurity,” Nov. 2016). Those who are tasked with cybersecurity—in public and private sectors—have a range of tools to protect both the human populations and “cyberspace”. Theirs is a mixed role because they have to maintain user confidence by not scaring users (their “installed base”) unduly or else risk mass defections while encouraging proper behaviors that promote both cybersecurity and cyber safety. Law enforcement (government) also has to make cyber a governed space, where rule-of-law applies. They have a range of tools (legal, technological, and others) to actualize this. They have appeared in many forms of oral storytelling and also have been with humanity in writing as well, initially in religious texts, and then secular ones, fables, and children’s stories. The core dynamic is the caution of what not to do to serve as an inoculant against poor decision-making. Cautionary tales are a popular part of pop culture; they have appeared in memes; they have appeared as exaggerated “urban legends,” which could be true…but are not. Cautionary tales have even spawned “legend tripping” (“in which a cautionary tale is turned into the basis of a dare that invites the hearer to test the taboo by breaking it”) (“Cautionary tale,” May 31, 2017). Social Video: Original videos shared through social media. Cybersecurity: Protection against criminal access to one’s data and information and against criminal manipulation of computer networks/data/systems. Panopticon: A term referring to a circular prison in which the prisoners can be viewed at all terms (and a term coined by Jeremy Bentham in the late eighteenth century). Social Imagery: Original imagery shared through social media. Mass-Scale Search Data: Summary data indicating how people use web-based search engines. Folk Tagging: The amateur labeling of digital media. Multimodal: Involving multiple modes/modalities of digital communications. Cyber Safety: Freedom from danger and harm when engaging with cyber technologies. Algorithmic Surveillance: The uses of computer programs to identify data of interest from a population. Cautionary Tale: A form of story to warn people against certain risky choices (based on an oral folklore tradition). Data Leakage: The advertent or inadvertent sharing of private and/or confidential information. Dossier: A file with documents about an individual. Cyber: Relating to information technology (IT), computers, and computer networks, as well as virtuality. Related Tags Network: A relational graph of co-occurring tags (in various degrees, such as 1, 1.5, and 2.0).